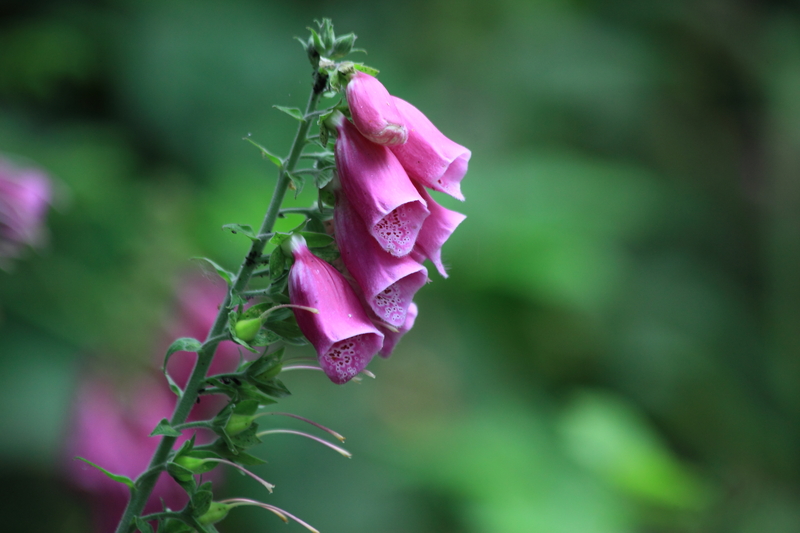 The common foxglove is also known as Digitalis Purpurea. They tend to be fast growing biennials in Western Europe and are very distinctive flowers. 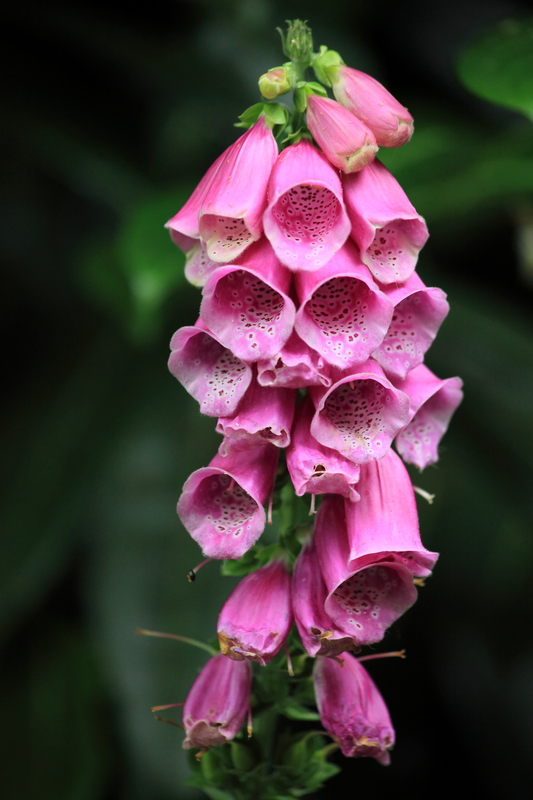 They are long spires of essentially tubular flowers but contain Digitalis, also known as the medicine Digoxin, which is used to treat certain heart rhytmn problems. They produce flowers in their second year and tend to seed freely liking light shade. 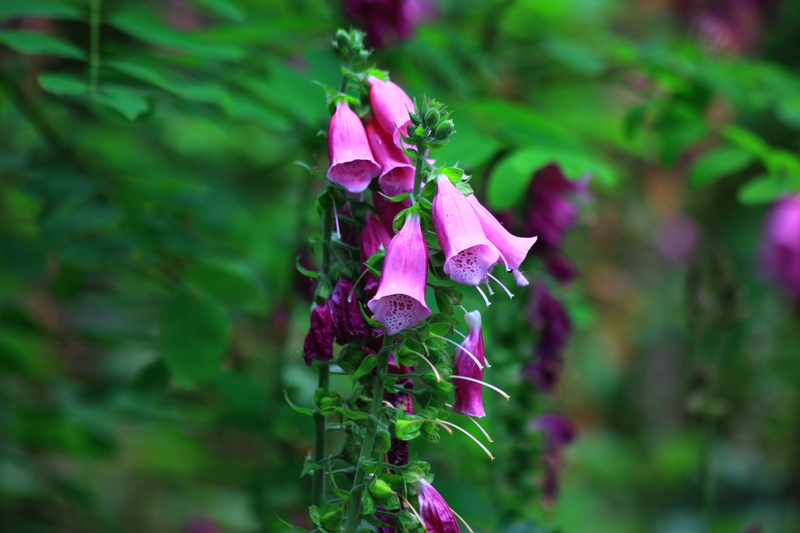 The digitalis is poisonous in small amounts with dangerous cardiac effects, essentially slowing the heart rate, but the raw plant material is, emetic and eating a large amount may produce vomiting thus expelling the cardiac poisons . In 2006, Charles Cullen, a nurse who worked in New York and New Jersey hospitals, was convicted of killing 29 patients with an overdose of either insulin or digoxin, and digoxin is a potential murder weapon. 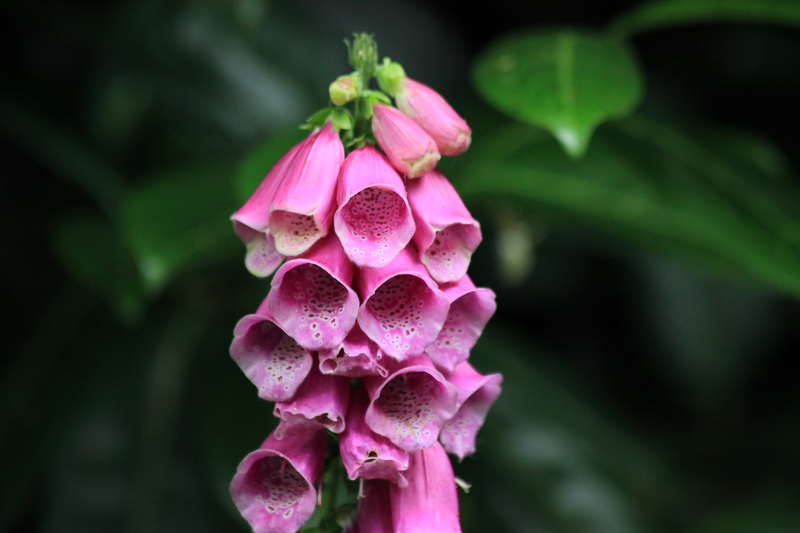 The converse however is also interesting in that there is some speculative evidence that it may have a use in treatment of breast and prostate cancer as it can dramatically slow the migration of malignant cells to other parts of the body.Research reveals that digoxin, can block the production of a protein called HIF-1, which has been implicated in the spread of breast tumours. So a curious CV of effects, some good and some very bad.